First thing they will tell you if that website is “listed as suspicious or not”. Second thing they will tell you “in how many pages they have found malicious software”, “when Google last visited that site” and “whether they have found any suspicious content in last 90 days or not”. Third thing they will tell you if that website is “appear to function as an intermediary for the infection of any sites or not”. Forth thing they will tell you if that website “host any malicious software or not”. Fifth thing they will tell “what you can do to get more information about your website”. 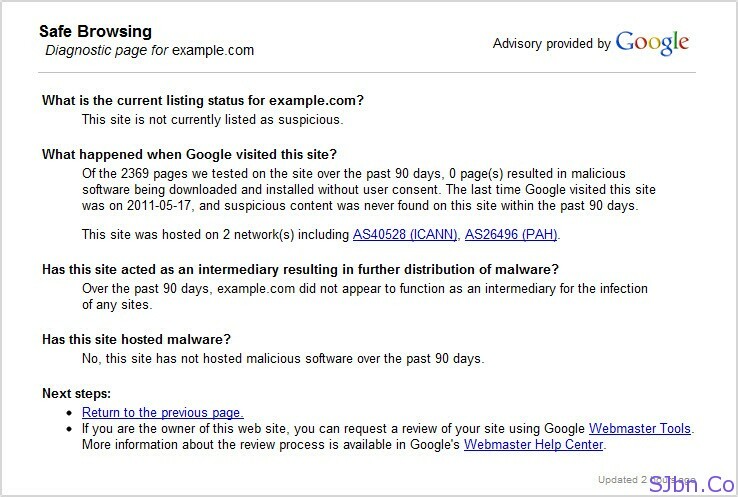 Do check your website if it host any malware, malicious software, etc. or not. If you have any question or problem let me know.